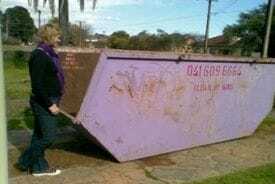 2 cubic metre Standard skip great for a quick clean up around the house or shed up to 2 cubic metres of General rubbish, junk, garden waste. Also up to 2.5 tonnes of dirt,bricks ,concrete, Builders waste etc. 3.5 cubic metre Suitable for up to 3.5 cubic metres of general waste Garden clippings, rubbish, junk, old toys, timber, etc. 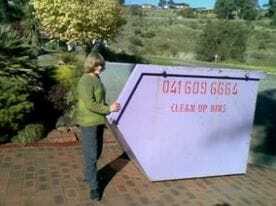 4.5 cubic metre Suitable for up to 4.5 cubic metres of general waste Garden clippings, rubbish, junk, old toys, timber, etc 5 cubic metre - Suitable for up to 5 cubic metres of general waste Garden clippings, rubbish, junk, old toys, timber, etc. 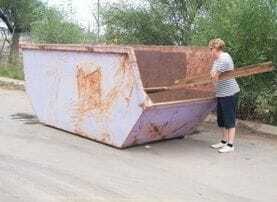 7.5 cubic metre - Suitable for up to 9 cubic metres of general waste Garden clippings, rubbish, junk, old toys, timber, etc. 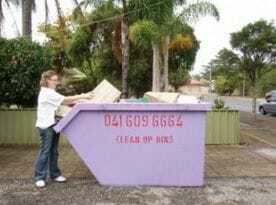 8 cubic metre- Suitable for up to 8 cubic metres of general waste Garden clippings, rubbish, junk, old toys, timber, etc. 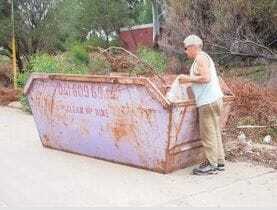 9 cubic metre Suitable for up to 9 cubic metres of general waste Garden clippings, rubbish, junk, old toys, timber, etc. 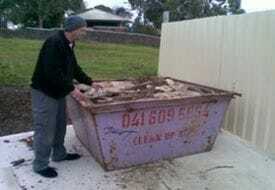 Call Bins Adelaide today on (08) 8358 3255 or 0416 096 664 for more information on skip bin sizes or to book a skip bin.